On Memorial day I always try to take some time to thank God for the freedoms I have as an American citizen and for the men and women who have given their lives so that I could continue to have these freedoms. I also try to remember to pray for the many service members who are still in harm's way. I pray especially for my brothers and sisters in the Lord who are serving in the military, that they will be faithful witnesses to Christ under very difficult conditions and that they will be protected and come home safely. Today, however, I am especially thankful as I think of my brother, Paul Throop, who served his country well in the US Army in many dangerous combat situations. In the process he suffered a significant injury, for which he was medically discharged and with which he lives in pain every day. Yet he does not regret his service. Nor does he complain about the limitations and the discomfort his injuries have caused in his life. In fact, he now serves the Lord Jesus Christ with an even deeper devotion than that with which he so faithfully served his country. He is an amazing example of the grace and power of our Lord Jesus Christ in saving sinners. He is a devoted husband and father, who loves his wife as Christ loved the church. He is also a loyal brother in the Lord, one whom I don't deserve. I wish there were more men like him. I wish I was more like him in many ways. 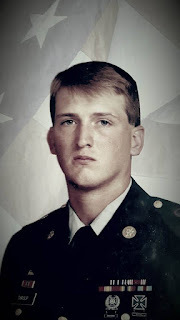 I love and respect him, and I honor him on this Memorial Day. Over the years Dr. Richard Belcher has written many books designed to help laymen understand Bible study and theology, and most of them now appear to be available at Grace and Truth Books. In fact, it looks like the single best place where you can find them. If you haven't read any of the books in his Journey series, I would especially recommend them, and you can even buy them as sets for discounted prices. It is a series of what Dr. Belcher calls "theological novels," in which he writes of the life and ministry of a fictional character, Ira Pointer, who learns about theology and its practical application as he encounters the many blessings and tribulations of ministry. 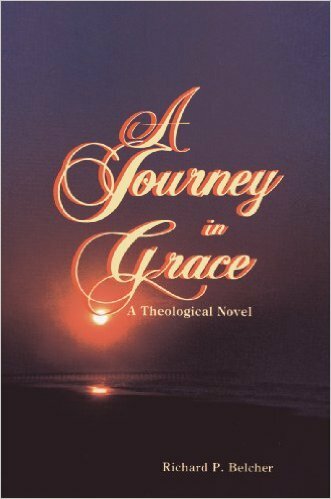 The first in the series in called A Journey in Grace, and I am especially thankful for it because many years ago it helped my wife come to an understanding of the Doctrines of Grace. I have also found that the series has been helpful in teaching people who may struggle to read theology but who seem to enjoy these books because the stories keep them engaged and help them to see how important each theological issue really is and how it impacts -- or should impact -- people's lives. If you haven't read them yet, get a copy of A Journey in Grace, or perhaps the set of the first seven in the series, and give them a try. Thank you, Keith, for mentioning us. Yes, Dr. Belcher has reached the age of 82 and asked us to take over the storage and distribution of all his books. So, in addition to the 31 volumes of his "Journey" series (starting with "A Journey in Grace", shown above) we also have his biography of A. W. Pink, his two collections of the Letters of Pink, and various books on preaching, the Sabbath, and biblical exposition. As Keith suggests, for anyone unfamiliar with these, the first set is a fine place to start. I would definitely check out the website. They have a lot of good titles. 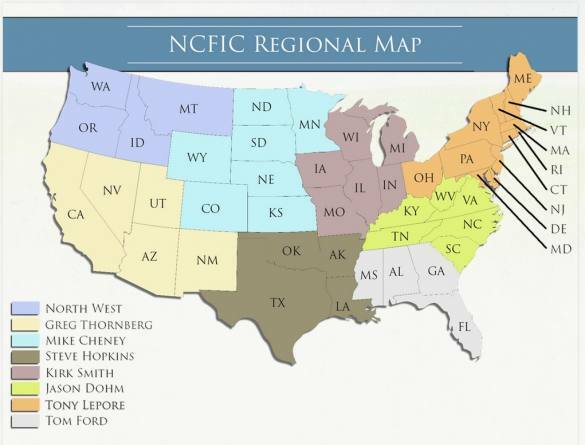 I appreciate the work that Shawn has done over the years helping to correct the FICM and helping to warn the body of Christ about the dangers of some of their views. I have found in him an ally in supporting the truth and strengthening the churches against some of the aforementioned dangers involved with the FICM, and I hope the blog's readers will consider his writings on the subject in addition to my own. He has written a very helpful book on the subject entitled Uniting Church and Family: Observations About the Current Family Crisis. 28% say that one must adhere at a minimum to a Calvinistic soteriology and to Covenant Theology in order to be regarded a Reformed Baptist. 40% say that one must adhere substantially to the Baptist Confession of 1689 (e.g. modify regarding Impassibility) in order to be regarded a Reformed Baptist. Most of us know that pulpit plagiarism is becoming an increasingly rampant problem these days. I think this is probably due to a number of factors, including such things as the easy availability of large numbers of sermons and sermon outlines online, the increasing pressure on pastors to sound like the celebrity preachers so many of the people in their congregations like to listen to or watch online, and the lack of solid training in exegesis and expository Bible teaching among so many pastors these days. But perhaps one of the most glaring problems is the lack of understanding among so many pastors regarding what their calling really entails. First: Taking over another sermon and preaching it as if it were yours is always and unequivocally wrong, and if you do it you should resign or be fired immediately. The wickedness is along at least three axes: (1) You are stealing. 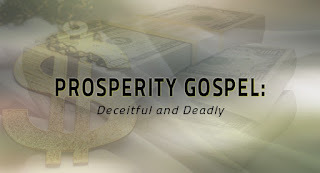 (2) You are deceiving the people to whom you are preaching. (3) Perhaps worst, you are not devoting yourself to the study of the Bible to the end that God's truth captures you, molds you, makes you a man of God and equips you to speak for him. This is a very good answer, in my opinion, but I am struck by the fact that there are many pastors these days who would claim that the first two points do not really apply to them, despite the fact that they regularly repeat other men's sermons. For example, many would say that they are not stealing if they have obtained permission to use the sermons, even without citing their original author. And they would argue that, so long as the members of their congregation know that they are preaching other men's sermons, then they are not deceiving them. But I don't think that there can be an answer to Carson's third point, which is that they are failing to devote themselves personally to the study of God's Word "to the end that God's truth captures you, molds you, makes you a man of God and equips you to speak for him." The simple fact is that, as pastors, we are called to preach the Word, not simply to repeat what someone else says about it (2 Tim. 4:2). In the process we are to make sure to teach "the whole counsel of God," an important aim of pastoral teaching for which the Apostle Paul held himself up as our example (Acts 20:27). 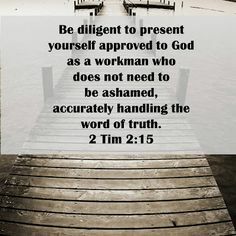 To this end Paul admonishes a pastor to "Be diligent to present yourself approved to God as a workman who does not need to be ashamed, accurately handling the word of truth" (2 Tim. 2:15 NASB). How does simply repeating the work of other men even come close to heeding this command?! How does one demonstrate his own ability to accurately handle the Word of God if he doesn't even bother to do the work himself?! We simply cannot fulfill our calling as pastors if we are not doing the hard work of understanding and accurately handling the Word of God for ourselves. I would also argue that fulfilling this calling is a necessary part of heeding the Apostle Peter's command to pastors to "Shepherd the flock of God which is among you, serving as overseers, not by compulsion but willingly, not for dishonest gain but eagerly; nor as being lords over those entrusted to you, but being examples to the flock; and when the Chief Shepherd appears, you will receive the crown of glory that does not fade away" (1 Pet. 5:2-4 NKJ). How can a man serve as an example of how we must learn to hear God speak to us in the Word for our sanctification if he isn't even bothering to delve deeply into the Word himself? How can one serve as a proper example of how to accurately handle the Word of God if he doesn't even know how to do it himself? In my view, one of the most important things I do as I teach the Word week in and week out is to model for the flock how they should rightly handle the Word of God for themselves. In this way I serve as an example to help them be like the Berean Christians, who were "were more noble-minded than those in Thessalonica, for they received the word with great eagerness, examining the Scriptures daily, to see whether these things were so" (Acts 17:11 NASB). How does simply repeating the work of other men serve as an example to the body of Christ of how they ought to properly study the Bible for themselves? We simply cannot be the example we are called to be without demonstrating how the flock under our charge can properly study and interpret the Bible for themselves. In my opinion, there are far too many pastors across America who are either incapable of doing the hard work of exegesis and sermon preparation, or they are unwilling to be diligent to present themselves approved to God as a workmen who do not need to be ashamed. Instead, they would rather simply repeat the sermons of other men, and for this they ought to be thoroughly ashamed of themselves! My fellow pastors, let us not be among them! 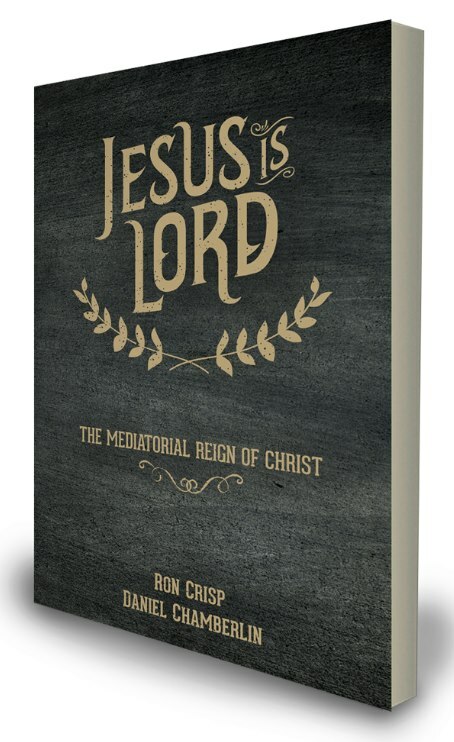 A great book on the mediatorial reign of Christ by Ron Crisp and Daniel Chamberlin, published by Free Grace Press, is coming May 23. 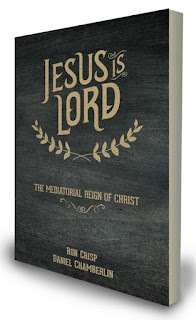 If you want to know more about how a man, from our own ranks, has been given sovereign power over all things, then you will want to read this book. Short, full of Scriptures, and full of glory and hope. You can preorder by emailing freegracepress@gmail.com for $5.00 per copy. If you want to preorder, now is the time! I would recommend checking out the growing number of other titles at Free Grace Press as well. You can purchase any of Jeff's books there at a good price, and you can keep up new titles coming in the future here. 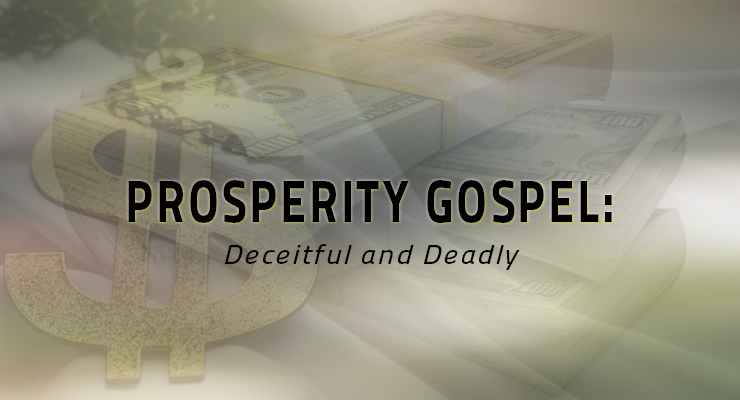 The Danger of "The Soft Prosperity Gospel"
Eric then gets into several areas in which we may have been infected with the virus of the false prosperity gospel without even realizing it. I highly recommend reading what he has to say here. 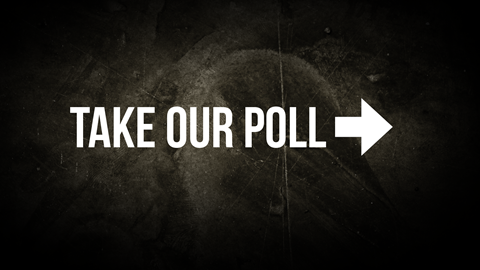 As always, your feedback is welcome.